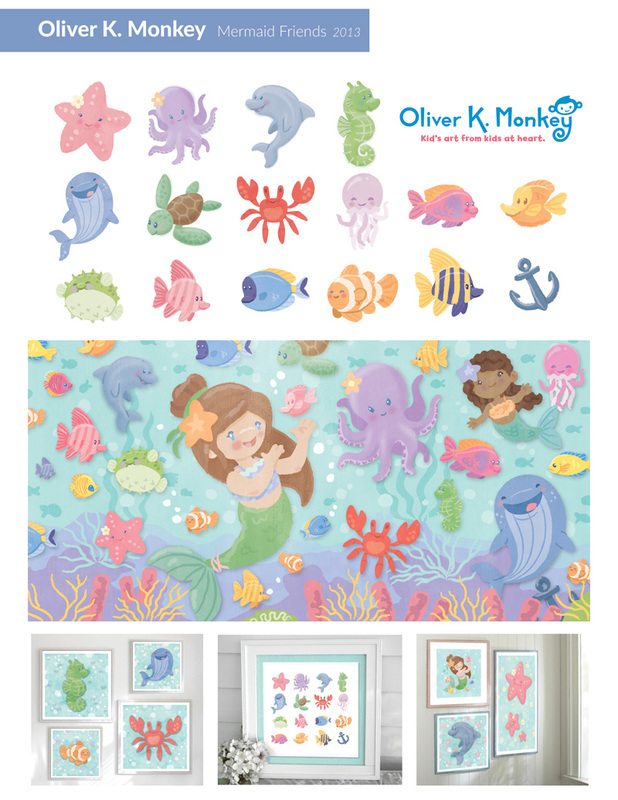 Mermaid Friends was a theme for a body of licensing works I created for Oliver K. Monkey. It focused on a fun sea theme for girls with a variety of fish and mermaids and underwater fun. The idea was to use the art for prints, fabric, room decor, and more.